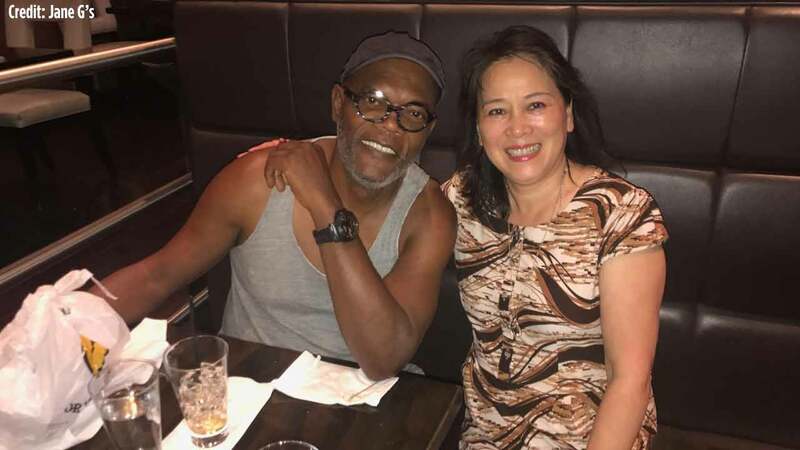 PHILADELPHIA (WPVI) -- Samuel L. Jackson was in town Monday night ahead of the start of production for his new movie, "Glass," directed by M. Night Shyamalan. The actor ate dinner at Jane G's, a Szechuan Chinese Restaurant located at 1930 Chestnut Street. Jackson posed for a photo with restaurant owner Jane Guo before leaving with his leftovers. "Glass" will start filming in October in Philadelphia and Allentown. M. Night Shyamalan tweeted that he feels "nervous and excited" about his upcoming project. The film, set for a release in 2019, is a sequel to both the 2000 film "Unbreakable" and the 2016 film "Split." Other big names co-starring in "Glass" include Bruce Willis, James McAvoy, and Sarah Paulson.